The Toronto Blue Jays have signed outfielder Colby Rasmus to a one year, $4.675-million US contract after he set career highs in 2012. 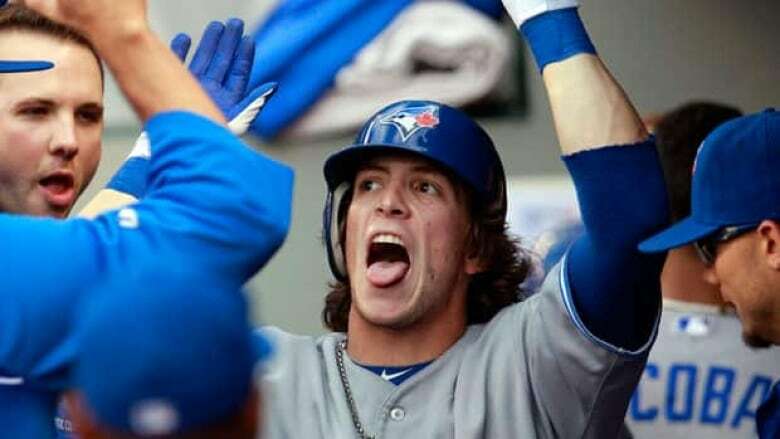 The Toronto Blue Jays have signed outfielder Colby Rasmus to a one year, $4.675-million US contract. Rasmus set career highs last year with 23 home runs and 75 RBIs in his first full season in Toronto. The Columbus, Ga., native ranked fifth in both RBIs and home runs among American League centre-fielders. Over his four-year career with St. Louis and Toronto, Rasmus has posted a .243 average with 76 home runs and 246 RBIs. The Jays also Canadian outfielder Adam Loewen to a minor league contract with an invitation to major league spring training. The native of Surrey, B.C., spent most of last season with the New York Mets organization, posting a .227 average with eight home runs and 26 RBIs with triple-A Buffalo. Loewen spent the 2009-11 seasons in the Blue Jays organization after converting to a position player from a pitcher. In 2011 with triple-A Las Vegas, the left-handed hitter batted .306 with 67 extra base hits.